Touching down in Paris, I meet the film crew again (who were on the same flight). 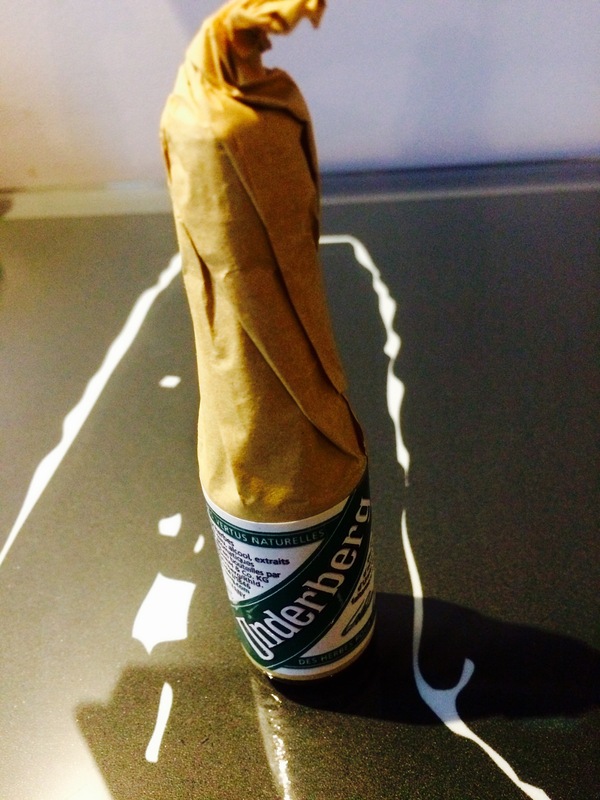 I’m presented with a little gift of Underberg which is a “digestif bitters” alcoholic drink that some use for digestion while others sip it as a boozy treat. It’s a secret recipe made from herbs sourced from over 40 countries and has a sort of Jaegermeister taste. I’m so glad I discovered it in Oslo and happily accepted the miniature bottle as a traveller’s gift. 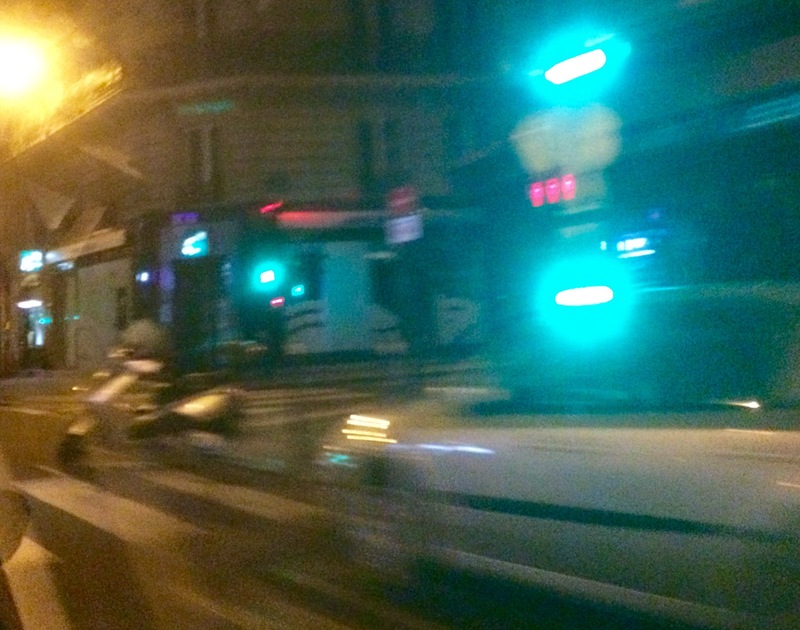 Anyway… we head by rapid, chance taking taxi from Charles de Gaulle to the centre of Paris. 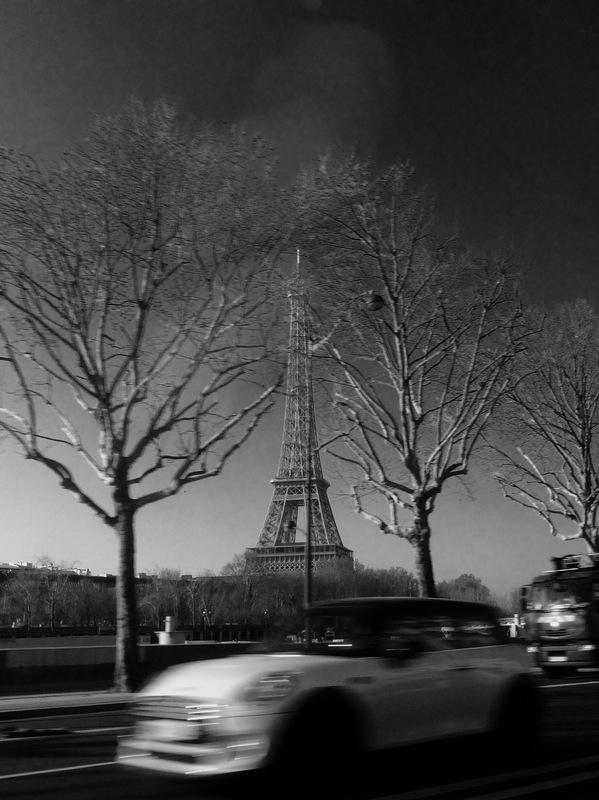 The last time I was in Paris was for a school trip when I was about 12 so my recollection is a little hazy – a blur of the Eiffel Tower, the Mona Lisa and messing around on a bus with some friends. Sightseeing definitely isn’t on the agenda as we have two films to shoot in two days at two separate locations within the city but I’m eager to soak up as much culture as possible nevertheless. Indeed, my view of the famous sites of Paris is often granted from the back of a taxi as I dash from one place to the next but despite the whistlestop nature of this tour I’m still enamoured. Coming straight from the sleepy, regal atmosphere of Oslo, Paris is a polar opposite – the driving is hectic with every cab ride feeling like a near death experience, the narrower streets are overflowing with diverse people, the whole pulse of the place feels like it’s running faster as if on some of sort of coffee based delirium. It dawns on me that perhaps a taxi is the best way to see Paris – the mixture of packed main roads and tight side streets give the rider a multitude of sins and surprises to gaze at as they whiz by. One street is a line of cafes with little tables and chairs on the pavement populated by old people in hats smoking – almost too stereotypical. The next street is a complete contrast as the taxi is forced to stop to slowly navigate through dozens of protesting students who beg the taxi driver to sound the horn as if to amplify their message. When the driver complies with a staccato melody, they applaud and clear a path. 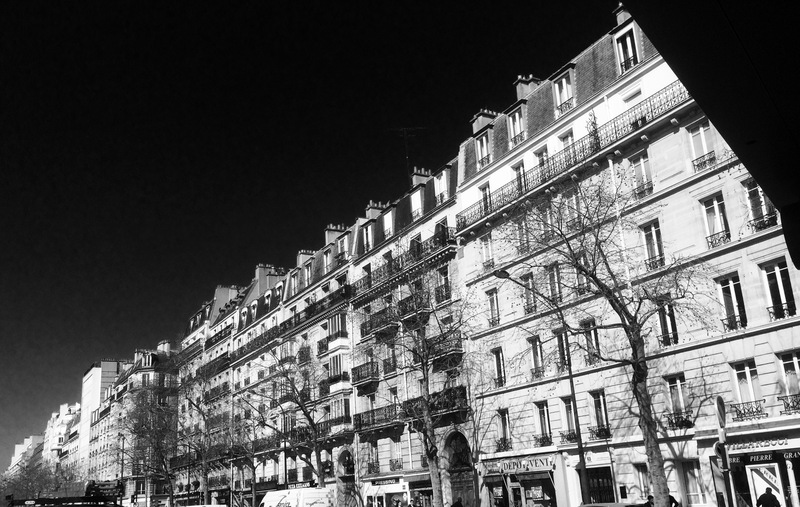 Paris is a city of such friction – the old and the new, just streets apart, restful and restless. Later I’ll meet a student who speaks English, Spanish and French and whose political views highlighted Costa Rica’s decision in the 1940s to not have a military force and what effect it had on society today. My limited exposure of Paris revealed a melting pot of ideas, languages, attitudes, agendas and action. 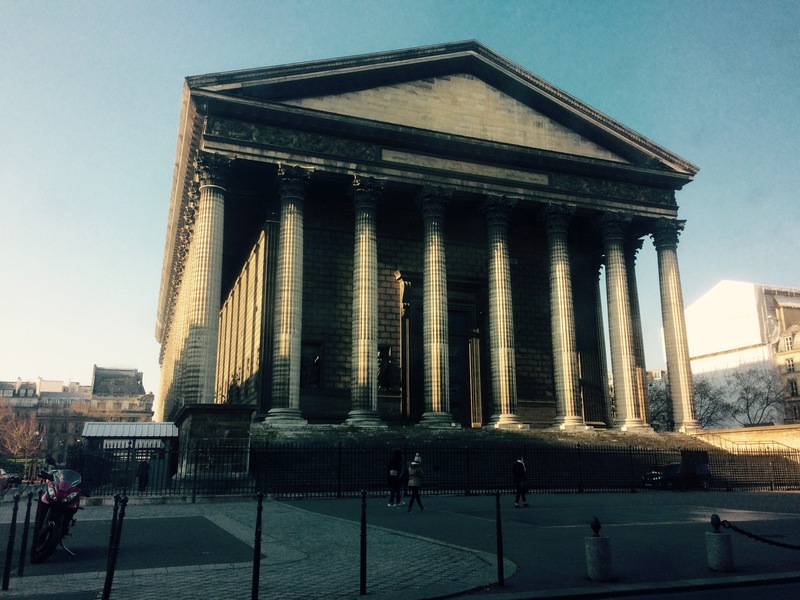 Adding to the delirium was two days of eating in Paris which felt like some sort of endurance test for the senses. I found myself hungrier than usual in this city – no doubt because I was running on reserves after all the early starts and late finishes. This was my third country in as many days. Parisian food was welcome fuel indeed – rich, flavourful and speedily prepared. Of all the culinary experiences that stands out was an evening meal to L’Opportun on Boulevard Edgar Quinet which I’m told is a trendier end of Paris in terms of nightlife (and it was suitably rammed for a weeknight). L’Oppotun had come recommended to the cinematographer on the film crew by a chef friend who had described it as a hidden gem. The somewhat decadent plan proposed by the film crew was to ignore the menu and to ask the chef to prepare whatever he thought would go together for four people to share in terms of starters and main courses with corresponding wine recommendations – an excellent idea especially when you don’t know what the menu means or how to pronounce it. This took away the temptation to err on the side of familiarity and order something tried and tested. What came on each plate was a complete surprise and was sometimes even hard for the owner to explain in English. Because it was all a mystery, I have no hope of remembering what everything was to describe or even name the dishes but I can say that every mouthful was something new. Rich, exciting food that opened the senses. Suddenly you were being driven by the urge to explore rather than just to fill yourself. In those few hours I felt like I had been on a culinary journey. For any restaurant that comes recommended and is open to the idea of going off piste, I’d thoroughly urge you to this try this particularly when abroad. After all, isn’t travel all about change? And aren’t the most memorable journeys unplanned?